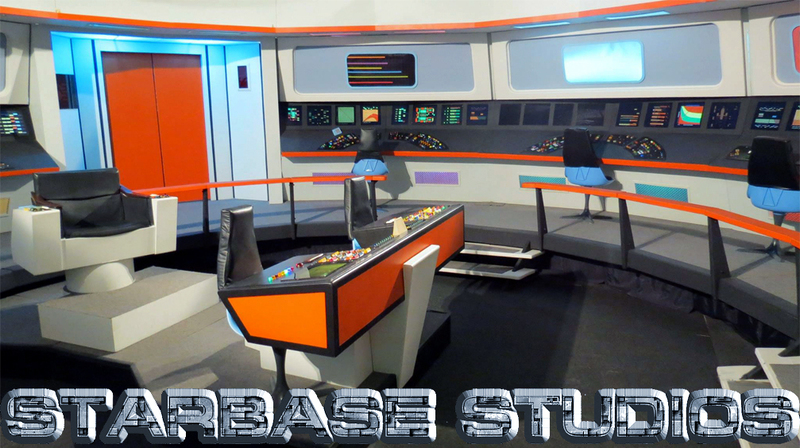 When last we left STARBASE STUDIOS…aw heck, just read the blog, folks! But long story short, VANCE MAJOR and I had worked tirelessly (and I mean that) for months trying everything we could to get these two parties—GLEN L. WOLFE on one side and SCOTT JOHNSON and KENT “WORDS” EDWARDS on the other—to compromise and reach a place where they could reasonably settle their lawsuit over the ownership of the Starbase Studios sets. It was like pulling teeth…from a Klingon targ! Every time we thought we had a settlement ready to sign, another problem seemed to crop up. But then, by the middle of January, we finally had an agreement that everyone could live with. Glen was taking it to his lawyer to review, but he was planning to sign it, send it along to Scott and Kent, and finally Starbase Studios could heal and move forward, once again becoming a place where fans could create amateur Star Trek film projects on professional-looking TOS sets. That agreement was never signed. So why the headline saying that a settlement has finally been reached? Well, folks, it’s been an…interesting…three weeks! With my beautifully-written settlement PDF getting a thumbs-up from everyone, the next move was Glen’s, as he was the one suing Scott and Words. If he would sign and notarize it, and send copies to both Scott and Kent, they could sign, as well, send a copy back to Glen, and—PRESTO!—the legal complaint before the court in Arkansas would be withdrawn. But then Glen’s lawyer’s mother-in-law got terminally ill and died a few days later. The lawyer had to suspend his case work and deal with the funeral. Day after day, I would check in with Glen, only to be told that he hadn’t heard back from his attorney yet. Nearly two weeks would pass before Glen’s lawyer finally had a chance to review my beautifully-written settlement PDF that everyone had agreed to. During that time, Scott Johnson was “evicted” from the building where the sets are being housed! The sets weren’t being evicted, only Scott. Long story, and we’re still trying to put out that fire. But my eye was on only one goal right then: getting this agreement signed! I did see one huge loop hole that will have to be fixed. Are you frickin’ kidding me??? And you didn’t tell me about this two weeks ago…why? Fortunately, it wasn’t a “huge” loophole. It wasn’t even a loophole, really. Glen simply wanted two things removed from the list of items considered part of the shared sets: 1) any props and 2) partial bridge console pieces donated by James Cawley. These bridge station pieces had been used briefly in the early days of Star Trek: New Voyages, and Glen planned to turn them into part of a Pike-era bridge. Cool! But why did he need to own them outright and not be considered part of the Starbase Studios sets? Apparently because the Pike bridge set would be located in a separate facility (along with a shuttlecraft interior), and Glen didn’t think that other facility should be considered part of the Starbase Studios location. Fortunately, Vance Major and I were able to convince Scott that this wasn’t the worst thing in the world. He’d still be 50% owner of an entire 360-degree bridge set, sickbay, transporter room, briefing room etc. So the Pike-era bridge is elsewhere…it’s not the end of the multiverse. Are you frickin’ kidding me??? With a signed agreement in the mail, Scott wants to make “Major changes”??? Yeah. Apparently now Kent wants to sell his ownership not to Glen Wolfe, as was agreed, but to GLENN MILLER, who would then own 25%. Scott would also own 25%. Glen Wolfe would own 50%. 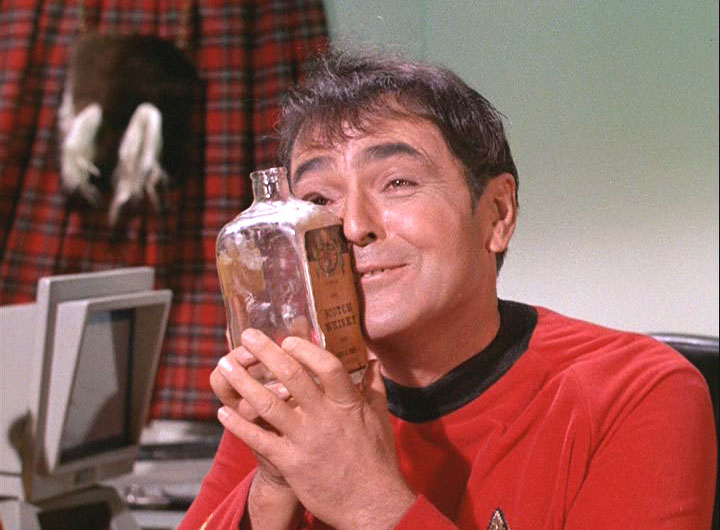 Now, if you’re anything like me, right now you’re probably asking: “Who the heck is Glenn Miller?” Glenn lives in New Jersey and used to be very involved with Star Trek: New Voyages/Phase II. More recently, he became good friends with Scott, Kent, and Glen Wolfe and worked with Glen on a couple of episodes of The Federation Files. He does camera, production lighting, and writing…and he’s eager to continue in the TOS Trek fan film-making world. So I’d have to rewrite most of this agreement nearly from scratch (and I am NOT a lawyer) to change all of the clauses dealing with ownership? Um, no. Tough love. I went into the weekend not knowing if I’d just killed this entire deal just inches from the finish line. Scott and Kent were no longer happy with the agreement that everyone was willing to sign just three weeks (felt like three years!) ago. To make matters about 50 times worse, when Scott and Kent finally received the signed agreement, it was COMPLETELY DIFFERENT than the beautifully-written PDF that I’d written and everyone had agreed to! There was suddenly this clause stating that, if the sets ever had to be moved out of Glen Wolfe’s building, Scott would be responsible for half of the expenses or else lose his 50% ownership stake. Scott can barely afford $10/month, let alone hundreds! Are you frickin’ kidding me??? Although Scott, Kent, and Glenn Miller were livid at Glen Wolfe (and I was pretty pissed, too), I actually didn’t think this was Glen’s doing. I suspect his lawyer slipped it in there to protect his client, and Glen didn’t bother reading the new version. Nevertheless, there were a couple of major deal breakers added into the document at the last second. At this point, I was just about to give up all hope and write a blog titled “How I failed to save Starbase Studios.” But I talked to Glen and explained why this move was making everyone angry—not just Scott, Kent, and Glenn, but Vance and me, as well. Vance spoke to Glen, too. We both also spoke to Scott and company. We needed to bring everyone together and work this out before it all fell apart. Finally, on Monday evening of this past week, Scott did just that. He created a Facebook messenger group with himself, Glen Wolfe, Kent, Glenn Miller, Vance, and me. For the next 24 hours, we all talked this out. Glen Wolfe was willing to adjust things back to the way they’d been before his lawyer started tweaking. Anything about the rent would be removed completely. Glen would also take out a couple of other last-second additions and even put in a clause about Glenn Miller getting a 25% ownership stake. Glen took the changes to his lawyer and came back with a new PDF file to review. It was almost there. I noticed a few minor glitches (yeah, I know I’m not a lawyer, but I am a good editor). Everyone agreed to let me take a crack at some simple edits to fix things and then insert them into the document. I made those changes Tuesday night. Looks good, I will send to lawyer, other than fixing the numbering system I am good, I will try to meet and sign today. NEW DOCUMENT SIGNED by all 3 !!! My friends, our long fan film nightmare is finally over! The Starbase Studios lawsuit is no more, and Glen, Scott, and Glenn are now partners. The sets will continue to be made available to any fan production, free of charge (except for a request to cover expenses of electricity for the day(s) of shooting, which has always been part of the deal and is only fair). 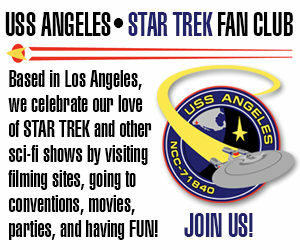 All a fan film has to do is to book the sets through Starbase Studios, LLC (i.e. go to their website or Facebook and ask), pick a date that isn’t already booked, and be sure one of the primary owners is present for the shoot. Oh, and please don’t break anything!!!! Folks, this has been the longest marathon I have ever run. (Well, I’ve actually never run a marathon, but you know what I’m saying.) Over a dozen people tried to find a path to compromise in all of this, and nearly all of them failed. But Vance Major…my friends, you really need to give this man a round of applause! He pitched seven full innings of this game, and I really only came in for the last two. But truth to tell, it isn’t just me and Vance. It’s Scott and Kent, Glen and Glenn. All of these people have gone through their own personal hells, in some cases for half a year! No one ever wanted this lawsuit—not even Glen Wolfe, who filed it—but once that Pandora’s Box was opened, it was nearly impossible to get it closed again. But “nearly” means there was still some hope. And despite countless frustrated threats to quit, storm off, slam the door, and let a judge and jury decide, no one ever walked away completely. They stuck it out in order to keep the dream of Starbase Studios alive. So any of you who think this whole episode shows the sorry state of fan films and the ridiculous melodrama that permeates the community, I see this as just the opposite! I see a story of hope winning over anger and indignation. I see optimism defeating despair after a lot of work, patience and perseverance. In short, my friends, we beat the no-win scenario. Great work. You have every right to be pleased. Peace has won out! Now *THAT* is the best outcome we, as fan-film makers, could have EVER hoped for. I mean, it’s not like the Humans, Vulcans, Andorians, and Tellarites built the Federation overnight. Congratulations! Trust has to start somewhere…even after a betrayal. Remember that these guys all used to be good friends until very recently. I’m hopeful they can find their way back to that place. So let’s say a fan production is planned for 2019. Where will the set be physically located? In a building in Arkansas owned by Glen Wolfe. I don’t know what town it’s located in. I have faith they’ll be able to go forward. the deal they have is beneficial to all, most importantly the fans.